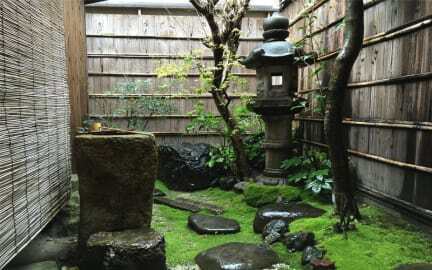 A piece of world in the heart of tradition: those words can summarise the atmosphere of Guesthouse Hitsuji-an. Our guests can enjoy the delights of a traditional machiya (Japanese townhouse) and share their travels’ experience with both foreigners and Japanese. Nijo Castle is only two steps away from the guesthouse as well as the Imperial Palace and the main shopping area of Kyoto: in a word, our machiya is a convenient place for all kinds of travelers. 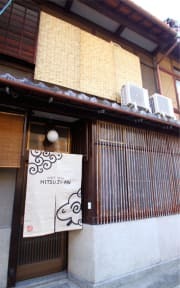 Close to the Subway station Karasuma oike and many bus lines, Guesthouse Hitsuji-an is an ideal place for all your outings in the ancient capital of Japan. Our guesthouse is composed with two Japanese-style rooms and two dormitories (one only for women) with shared bathroom and toilets. Our guests can also make their own meals in the shared kitchen furnished with microwave, toaster or rice cooker. We will be glad to help you forging unforgettable memories. # Entrance door is closed (staff is not available)from 11:00 to 16:00. Bath towels (rental 150 yen), Soap, Shampoo & Conditioner, Hair Dryer. Please note that all our rooms are non-smoking.